When Bethesda announced it would bring Doom (2016) to the Nintendo Switch, it was a bit of a surprise. I, for one, was skeptical that developers would be able to maintain reasonable fidelity on the Switch’s low-spec hardware. While the graphics and framerates suffer at times, the overall look of the game is nice and it plays well, earning it moderate reviews (the game has a score of 79 on Metacritic). Bethesda was not done surprising us, though. 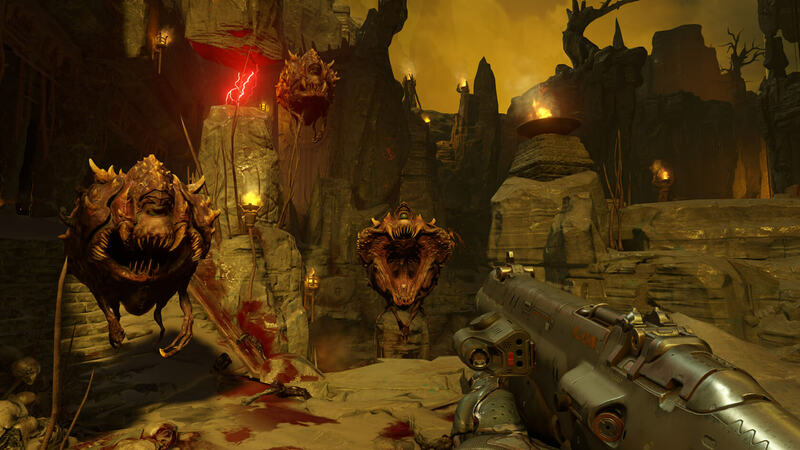 The game maker on Tuesday rolled out a patch that adds motion controls to Doom. Once installed, the update places a “Motion Aiming” toggle in the settings menu. Turn it on and the right JoyCon will allow you to fine-tune your aim by tilting it. "The motion controls make it much easier to aim with precision without your hands cramping up into claws." We have not had a chance to test the feature but Polygon had some hands-on time and said the controls are intuitive and similar to the motion controls in Splatoon 2. Motion Aiming is not the only thing that Bethesda included in today’s patch. Developers have been working on the multiplayer system and have made it easier to form parties. You should be able to group up with your friends and get into the game much quicker. Other tweaks include graphical improvements, CPU optimizations and bug fixes. You can read the full patch notes over on Bethesda's site.